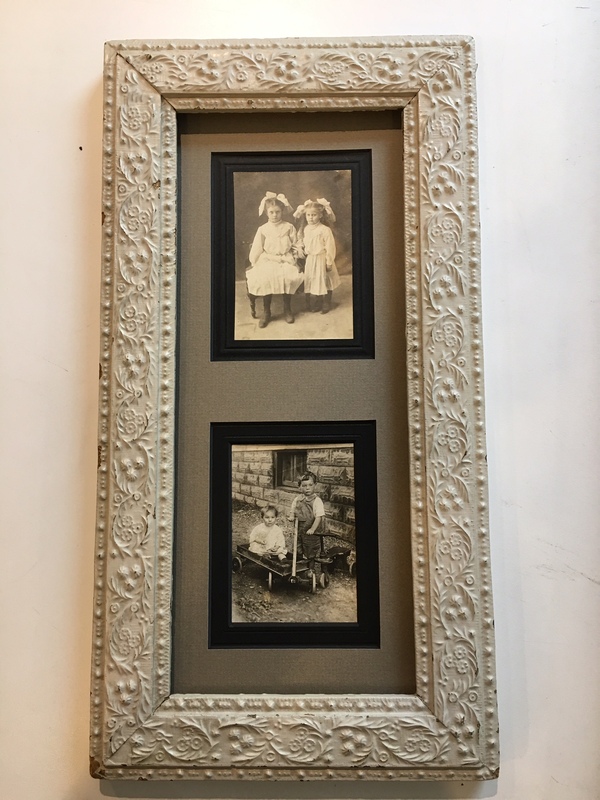 This was one case where the client bringing her own frame worked out. 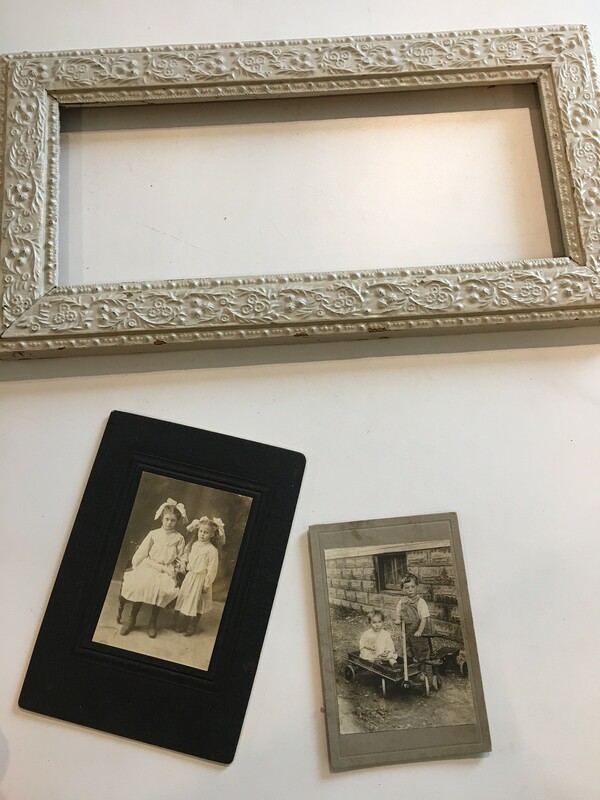 Our client brought in a vintage frame and two old photographs on display cards. 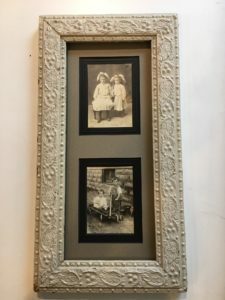 In most cases, bringing your own frame to the design just makes everything more difficult, for sure in the design process and sometimes in the fitting and finishing stages. Why? Glad you asked. Please read my next blog…coming soon. But back to this little project, which turned out beautifully. 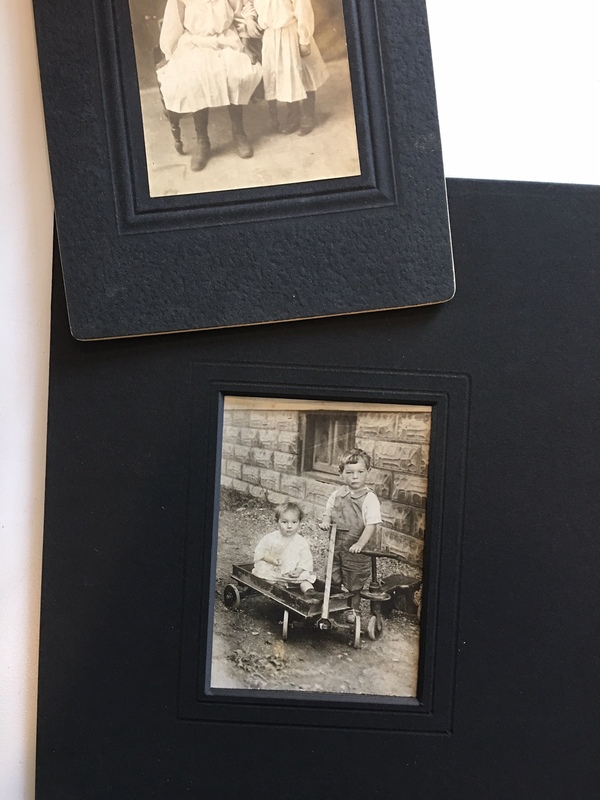 Our client brought in two old photographs, both already mounted back in the day onto display cards. 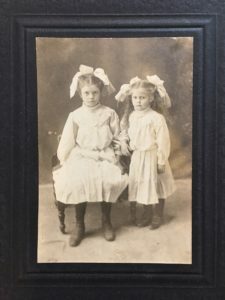 Each was a photograph of her grandmother, one was her biological one who passed away in her father’s youth, the other her step-grandmother who she always knew as Grandma. 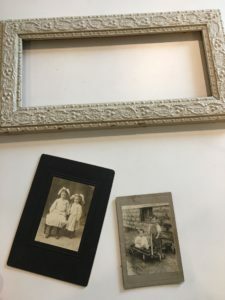 She wanted to honour them both in one frame, and she wanted to use an old distressed wooden frame that she already had. 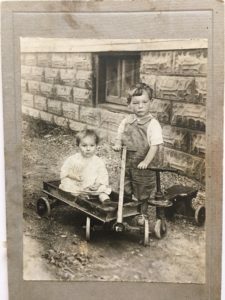 She wanted her biological grandmother on top, which made sense, but did we have the room ? As well, we decided that the other photograph needed a little something extra to make it just right. We chose a solid black Bainbridge Mat to mimic the look of the embossed card around the first photograph. With our Wizard 9000 computerized mat cutter and its debossing cartridges, duplicating the look overtop of the original gray card was relatively easy. The finished piece with a taupe mat finished off the vintage look. The finished piece with the museum glass. Can’t tell the difference between this one and the one without glass can you? 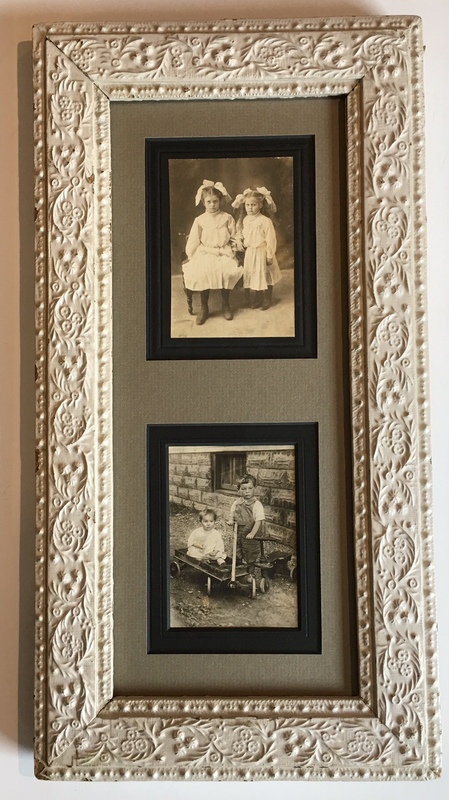 Amazingly, the Math Gods were on my side for this project and the numbers all worked out for a top mat to bring the two pieces together and to fit into the pre-existing frame…. without any slicing or dicing of the photograph cards. Of course I knew that it would all work mathematically before we finalized the design (and I took her deposit), however I was still stoked when I saw how great it was turning out. 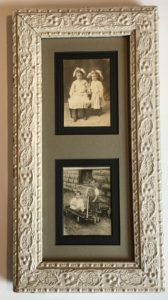 Usually we would have less space between the windows and more matting border around the pieces, but this still looks good and it was the only compromise in the entire design. A Bainbridge Taupe on Sable Core mat with two windows was cut for the top mat and it was finished out with museum glass.